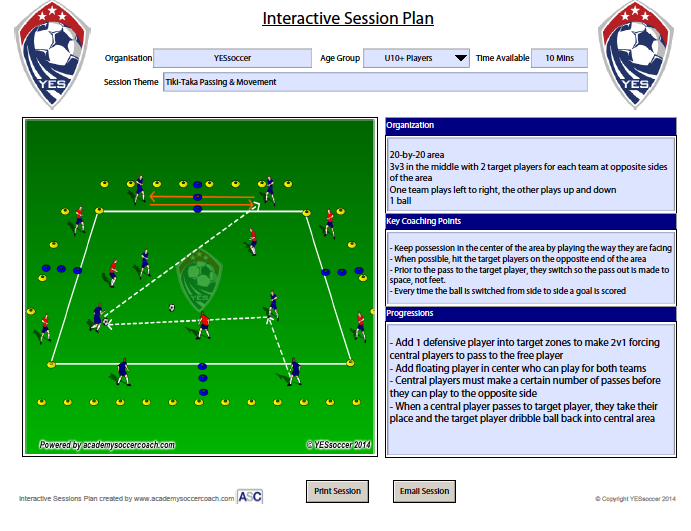 At YESsoccer we know that better session plans produce better training sessions. 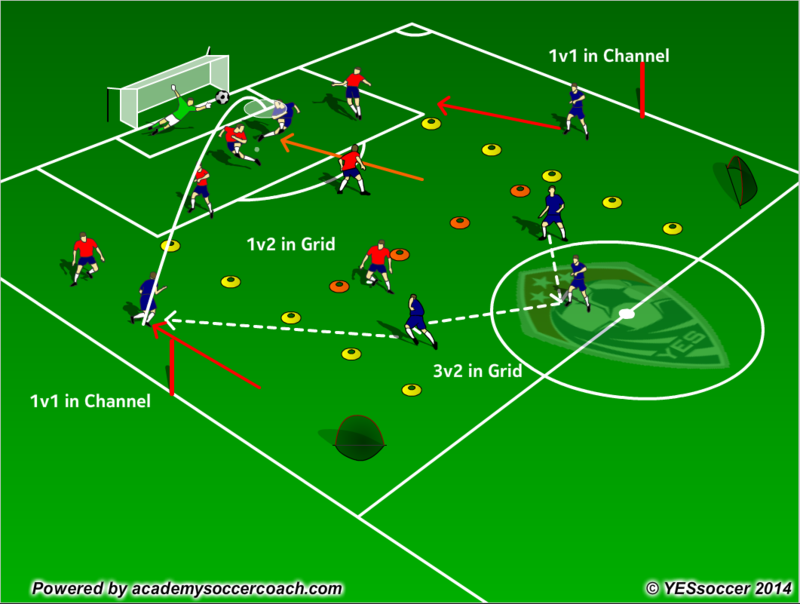 So we've partnered with Academy Soccer Coach to create interactive, visually-rich diagrams that will help our YESsoccer coaches plan, share and implement their training sessions. ASC is the same platform used by Arsenal, West Ham United, and the Professional Footballers Association. Now YESsoccer is bringing it to our grassroots partners across the U.S., including Chicago Fire Soccer In The Community. Follow us @YESsoccer to get a better plan for your next training session, and contact us at info@yessoccer.net to find out how we can help you plan, staff and implement your best season yet.